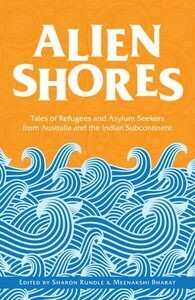 Linda has a story ‘Karim’ in Alien Shores, which she read so beautifully at our Sydney launch at The Hughenden. I’ll be there at Frivolity at Five Ways along with Susanne Gervay and other friends. Hope you can join us. I had a fabulous weekend in Sydney, courtesy of my daughter Erin who took me to dinner and to the musical ‘Cats’ at the Lyric Theatre. Cats is a slick, fun, energetic performance where Rum Tum Tugger nearly stole the show, though Mestoffelees just managed to eclipse him with his magical illusions and acrobatics. The set, costumes, dancing, singing and acting were all spot-on. There were fun moments when the cats prowled through the stalls and interacted with the audience. A real treat. We had yummy Peking Duck at the Emperor’s Garden restaurant. On the topic of delicious meals– food writer, critic and editor Jacqui Fisher’s blog has really fab recipes, the latest from the Congo. Jacqui is deputy chief subeditor and online editor for the Woolworth’s Australian Good Taste. featured in the ‘Out and About’ pages (p7). 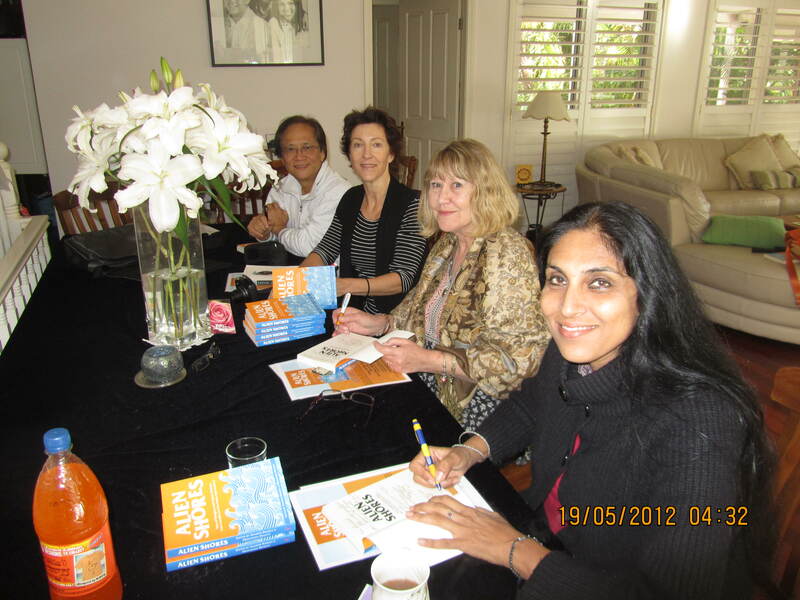 The write-up includes photos of the excellent launch at the Hughenden Hotel in Woollahra. 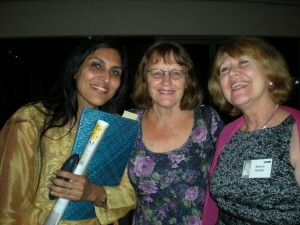 Of course, we went to Pier 4/5 for some of the Sydney Writers’ Festival events. Intermittent showers didn’t deter the crowds on the pier and most, if not all, sessions were booked out. I spotted Anita Heiss and Linda Jaivin among other well known authors on the pier; and caught up with good friend Wendy Ashton. The sun shone for a while and it was a pleasant few hours catching up with people over a cup of coffee. I was keen to hear the Short Story session among others. Have you been to the SWF, what did you see and hear? What events did you enjoy the most? If you’ve missed some of the sessions at the festival or weren’t able to get to Sydney, you can catch up with podcasts of many of the sessions on the link above. It was a beaut weekend in Sydney and I had the best fun spending time with my daughter. Roanna Gonsalves has been commissioned to write and present a program about Indian students after ABC Radio National read Roanna’s Curry Muncher story. Listen to or download the ABC audio version of Doosra: The life and times of an Indian student in Australia and companion piece O Other Where Art Thou . 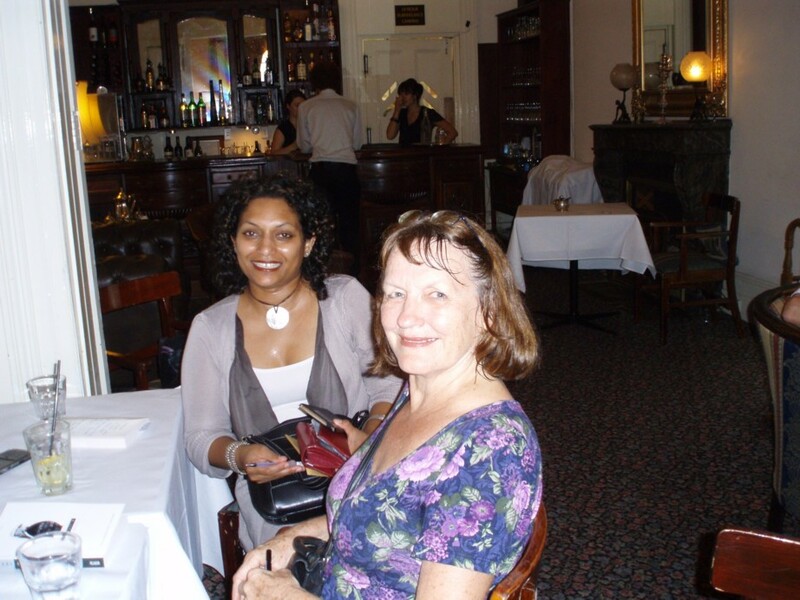 Roanna (Gonsalves) and Rosie (Scott) at the Launch of Fear Factor Terror Incognito at The Hughenden. Listen to a podcast of Valerie Khoo with Elizabeth Kostova, author of The Swan Thieves. 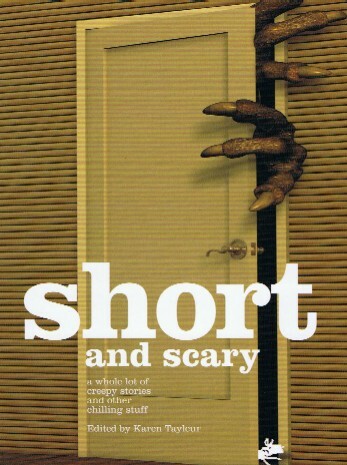 Short and Scary – A whole lot of creepy stories and other chilling stuff. The book suits 11-14 year olds. All profits are donated to youth mentoring programmes. Contributors include Jackie Hosking, Shaun Tan, James Roy, Andy Griffiths, Terry Denton, James Moloney, Susanne Gervay and many others. Black Dog Books invited Australia’s best loved authors and illustrators and new authors and illustrators to join together to create an exciting, funny, scary and innovative books of short stories and creative works. Dip in and be scared and delighted. with keynote speaker Gabrielle Lord. Her huge international best selling 12-book series Conspiracy 365 is taking the ‘fugitive’ style young adult conspiracy into South America, USA, Europe. •	Publishers from the major houses including HarperCollins and Random House, as well as new small publishers. Bookings are essential. It will be held at the NSW Writers Centre, on the Rozelle grounds of Callan Park. The Winner Earns $500 to Share their Living Abroad Experiences. The launch of Australia’s Richest Radio Play Writing Competition in Miles, Queensland in September 2009, challenges writers around Australia to write a 30-minute radio play about contemporary issues that effect and impact upon our lives. Prize money of $6000 will be awarded to the top four scripts. 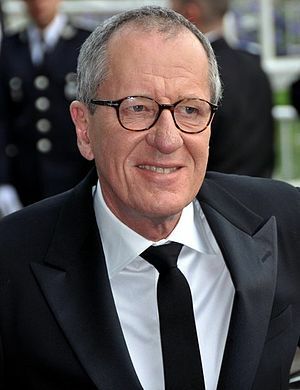 Winners will be announced in September 2010. Visit the website to find out more. Travelers’ Tales runs an annual award to honour great travel writing. Head to http://besttravelwriting.com to learn more about the Solas Awards and the $1000 Grand Prize for ‘Best Travel Story of the Year’. Awards are offered in many categories, covering the full scope of travel writing, from adventure to funny, spiritual, women’s, food related, memoir, destination, and more. All entries will be considered for Travelers’ Tales books. Stories submitted after the deadline will be entered in the following year’s contest. So it’s never too late. Polish some stories that you’ve been working on or have languishing in the bottom drawer. Join a critique or writing group to help you revise and edit your work. Enter your story, poem or play in a competition or submit to publications. Use the colder months of the year to finish, revise, polish and edit your work. Make sending your work to a competition or publication your goal for this winter.